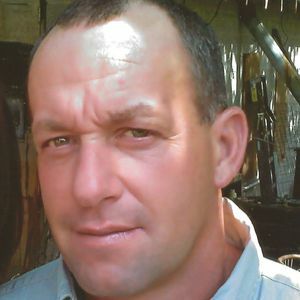 CONNELLY SPRINGS - Steven Allen Powell, 47, of Connelly Springs passed away on April 28, 2012. Born November 23, 1964 in Catawba County, he was the son of the late Jesse and Claudine Parlier Powell. In addition to his parents, he was preceded in death by his son, Michael Potter. Survivors include his daughters, Megan Powell and Clara Potter; mother of his children, Patty Potter; granddaughter, Jocelyn Powell; fiancée, Adela Brown; brothers, Jesse Clarence Powell, Tony Powell, and Danny Powell; sisters, Nadine Rogers, Rhoda Morgan, and Sylvia Hall; and aunts and uncles, Wayne and Juanita Conley, Elmer and Becky Powell, Nina And Huber Young, Ovetta Crawley, and Jenny King. Funeral services will be held on Friday, May 4, 2012 at 2:00 PM at Catawba Funerals & Cremations. Burial will follow in Catawba Memorial Park. The family will receive friends one hour prior to the service from 1-2PM. The beautiful and interactive Eternal Tribute tells Steven's life story the way it deserves to be told in words, pictures and video. The staff of Catawba Memorial Park, Funerals & Cremations wish to extend our sincere condolences to the Powell Family.